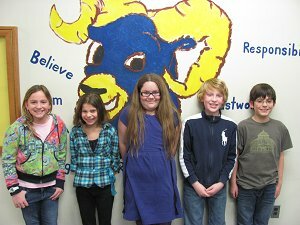 Four students from AWR were selected for the New Jersey Elementary Honor Choir, an all-state choir for students in elementary choral music programs. AWR students also created Valentine's Day Cards for soldiers currently hospitalized with injuries around the world. Salt Brook School was selected as a 2011 New Jersey State School of Character by the New Jersey Alliance for Social, Emotional, and Character Development (NJASECD). Salt Brook has been identified and honored as a school that demonstrates outstanding character education initiatives that yield positive results in student behavior, citizenship, school climate, and academic performance. Juxtapose, peculiar, and precipitation were just some of the challenging words Salt Brook 4th, 5th, and 6th graders took on during this year's spelling bee. 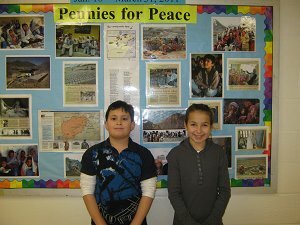 For the third year in a row, during February and March, students in all the schools of the New Providence School District are raising money to donate to the Central Asia Institute through the Pennies for Peace program. Mike Karnish a former NPMS faculty member recently hosted a Seeing Eye assembly for 7th graders at NPMS. The assembly included Marilyn Rodda and her Seeing Eye in-training dog, Issy, and a retired dog, George. 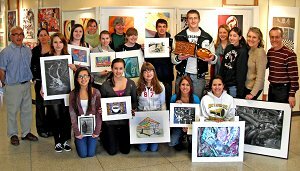 Several NPMS and NPHS students placed in the national Scholastic Art Awards. Competing regionally against students in thirteen counties, New Providence artists earned fifteen gold keys, four silver keys, and six honorable mentions for their entries. Gold key winners are now national finalists. This year's Internet Safety Program teaches students about the dangers of online communication and the importance of being safe on the Internet. 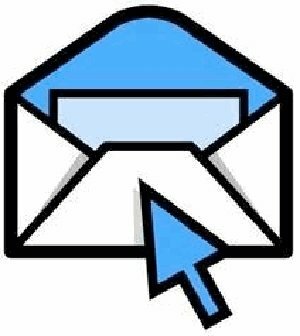 The district is incorporating Internet Safety lessons into the classrooms throughout the district schools for grades K-12 with lesson topics including cyber community citizenship, cyber bullying, and intellectual property. Six NPHS students recently entered the IBM Master of the Mainframe contest along with a variety of other high school and university students. The contest challenged students to learn an entirely new computer programming system relatively quickly and is designed to equip students with basic skills to make them more competitive for jobs in the enterprise computing industry. Members of the NPHS swim and basketball teams earned the weekly honor. 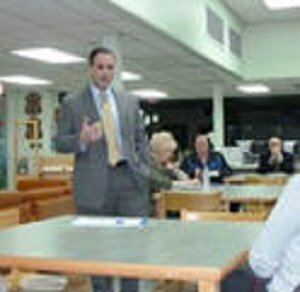 On Wednesday, February 9 Superintendent of Schools Dr. David Miceli presented an overview of the upcoming 2011-12 budget to community. Dr. Miceli, and members of the Board's Finance Committee, also fielded a wide range of questions about the budget from those in attendance. The next Superintendent Forum will be held on Wednesday, March 9 at 7:00pm at NPHS. 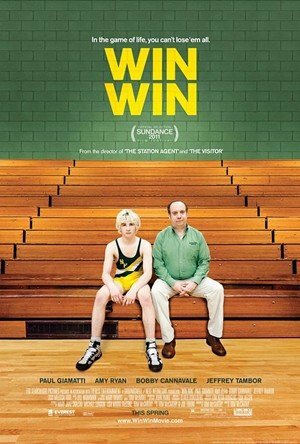 “Win Win” a new movie co-written by director Tom McCarthy and Joe Tiboni, both NPHS alumni, opens in theaters nationwide in March. The story, which takes place in New Providence, centers on a lawyer who takes over as coach of the NPHS wrestling team. Click the link to see the exciting trailer! 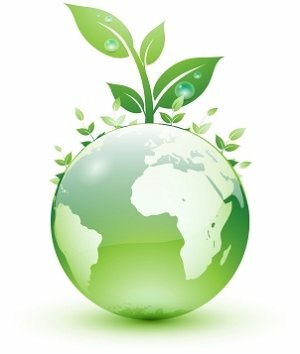 All four New Providence schools have joined the New Jersey Sustainable Schools Network, a consortium of schools, organizations, and concerned individuals who are committed to promoting education and school practices for a sustainable future in New Jersey schools. 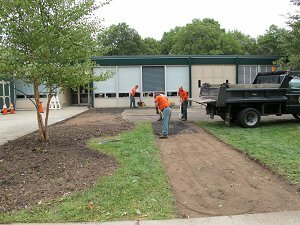 A recent paving project at AWR was completed collaboratively with the New Providence Department of Public Works and the New Providence School District's administration and custodial staff. This joint project saved the school district approximately $3000, money effectively spent on other operational costs. Friday, February 18th - Winter Track Group 1 Championships will be held in Toms River on and the Meet of Champions will also be held in Toms River on February 26th. Friday, February 18th and Saturday, February 19th - The NPHS wrestling team will compete in the District 12 tournament at Union H.S. NPHS wrestlers who advance will compete in South Plainfield at the Region 3 Tournament on Tuesday, February 22. Sunday, February 20th The NPHS Girls Basketball team will play the winner of the Linden/Roselle game in the Union County tournament at Rahway High School, beginning at 2:30 p.m.
Tuesday, March 1st - Both NPHS boys' and girls' basketball teams will begin their state games here at New Providence High School. The girls will play Arts H.S. at 6:00 p.m., and the boys will play Weequahic H.S. at 8:00 p.m.
Saturday, March 5th and Sunday, March 6th -Five members of the NPHS Swim Team will compete in the individual championships to be held in Sewell, New Jersey. Superintendent of Schools Dr. David Miceli and members of the Finance Committee will discuss the upcoming budget and answer your questions. 7:00 p.m., Media Center, New Providence High School. New Providence High School will present its Spring musical "Bye Bye Birdie." Performances will be at 7:30 p.m.in the New Providence High School Auditorium. Tickets are $12 (reserved seating), $10 (general admission) and $8 (students & seniors). Tickets may be purchased from a student, at the NPHS Main Office, or ordered via e-mail at NPHSmusical@yahoo.com.